Candace and Ginita have been aided in their quest since 2012 by Elizabeth Bryan-Jacobs, who works with and advocates for WIFE.org, also volunteering her time and talent at Second Saturday. Elizabeth’s personal experience going through divorce inspired her to help others navigate this life challenge by playing a pivotal part in the national rollout of Second Saturday. Her work in Specialized Outreach includes writing, media communications and strategy, also sharing WIFE.org’s message of female financial literacy and independence. 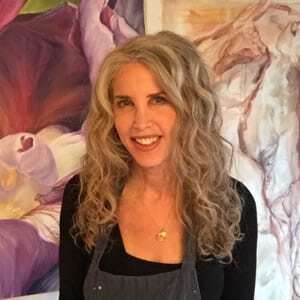 Elizabeth is also a nationally recognized Earthworks Artist and Creative Behaviorist and is currently pursuing a Master’s Degree in Art Therapy. Her career spans authorship of the bestselling books, Chicken Soup for the Soul: Count Your Blessings and Soul Models: Transformative Stories of Courage and Compassion to teaching Creative Awakenings: Where Spirit Meets Science. Creative Awakenings is a proprietary workshop integrating art, mindfulness and nature, supporting individuals in maximizing their full potential and relationship to their creative selves, living happier, more authentic lives. Elizabeth shares Creative Awakenings privately and at exclusive venues like Canyon Ranch in Lenox, MA, The Golden Door Spa in San Marcos, CA, and The Ojai Valley Spa and Resort. She also tailors this program for financial advisors, gallerists and designers as client appreciation events that show attendees they are genuinely cared for by providing a unique, creative and joyful experience. For more information, visit www.creativeawakenings.net.